The Cover of the 2019 Wedding Guide Magazine features the wedding of Lake Sweet & John Wininger at Grand Hotel, an exceptional and memorable wedding destination that prides itself on the details and making sure every wedding is perfect. The Grand Hotel Tea Garden setting, amidst flower gardens with panoramic views of the hotel was Lake & John’s choice for 200 plus guests of family and friends. 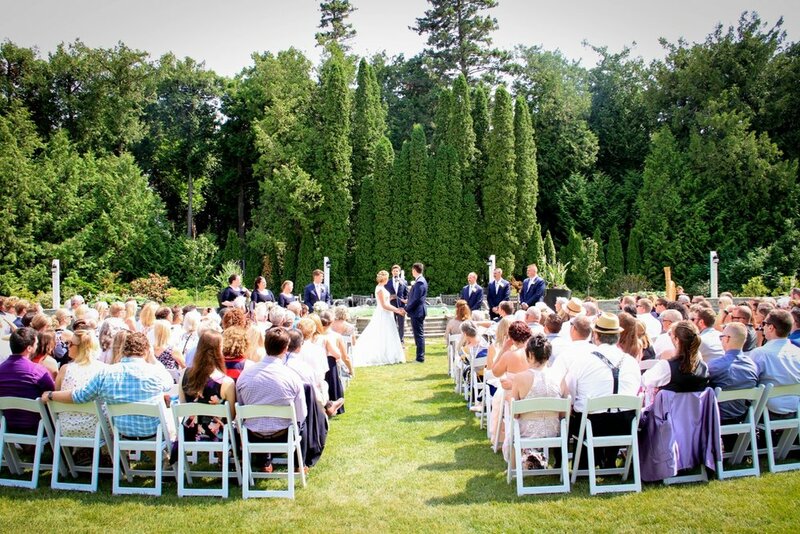 Wedding coordinator Carole Erbel of For the Love of Mackinac! assisted in day of coordination and vendor selection for Lake and her mother Laura. Photography from Island Photo and videography from Mackinac Films perfectly captured this spectacular late June day. Lake and her bridesmaids made a Grand entrance as they crossed the beautiful manicured grounds. 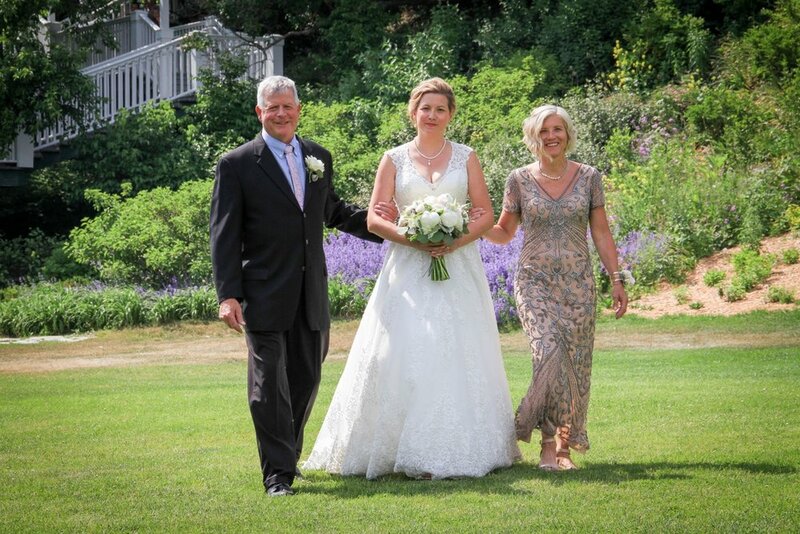 Lake ‘s parents escorted her to the magnificent ceremony site, where she and John exchanged their vows. Lake, named for the Great Lakes that she was married by that day, selected the Chippewa Hotel for her bridal suite following her hair and make styling at Vintage Glam on Market. Lake’s flowers were from Grand Hotel’s Margaret’s Garden. John and his friends were light hearted and relaxed, despite some very warm temperatures! 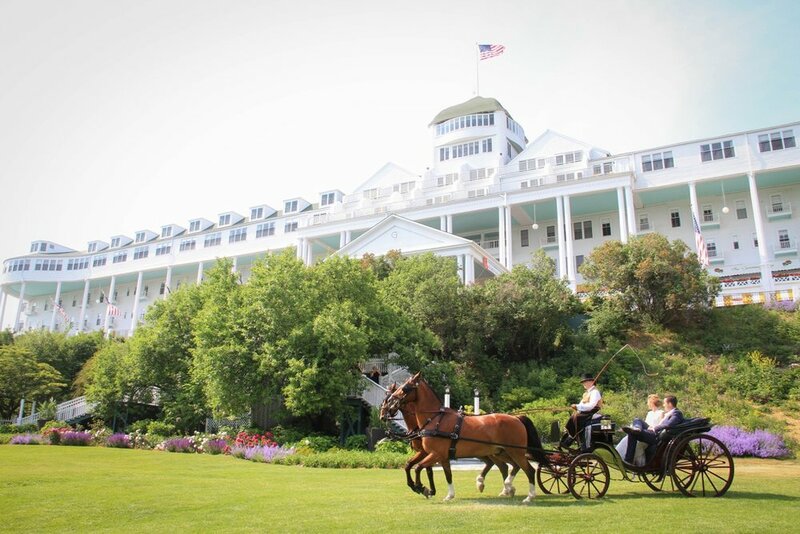 After the wedding, Lake and John boarded the Grand Hotel Antique Vis-a-Vis carriage and left for a delightful hour long romantic carriage ride for photos before arriving at the reception destination, the Mackinac Island Yacht Club. As many a Mackinac Island wedding, the party continued through the evening making its way through the many night spots with live entertainment and more options for dancing and late night after-glow.